Care 32 takes pride in bringing the highly efficient Carl Zeiss OPMI Pico Dental Microscope for advanced root canal treatment procedures. 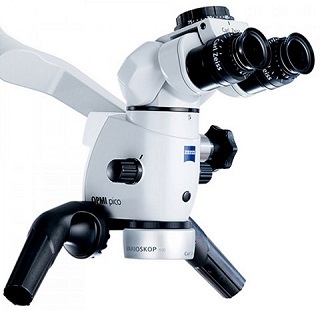 OPMI Pico is a compact, high performance and easy to use microscope. It features many innovative functions that optimize the quality of treatment. - Complicated root canals are made easier: Complex treatment of perforations and removal of separated files, posts, calcified canals and other obstructions can be done more successfully and in a conventional manner thus avoiding surgery. - Retreatment: Increased success during retreatment procedures. - Increased visual aid: Helps to see the surgical anatomy to locate canals in teeth with different anatomy. - Diagnosis: Tooth fractures can be easily identified, allowing for early diagnosis. - Increased accuracy: Precise and accurate treatment is possible due to the increased visual efficiency and wide field of working area with the aid of dental microscopes.